Happy 4th of July everyone!!! We hope you had a fun day filled with memory making moments. 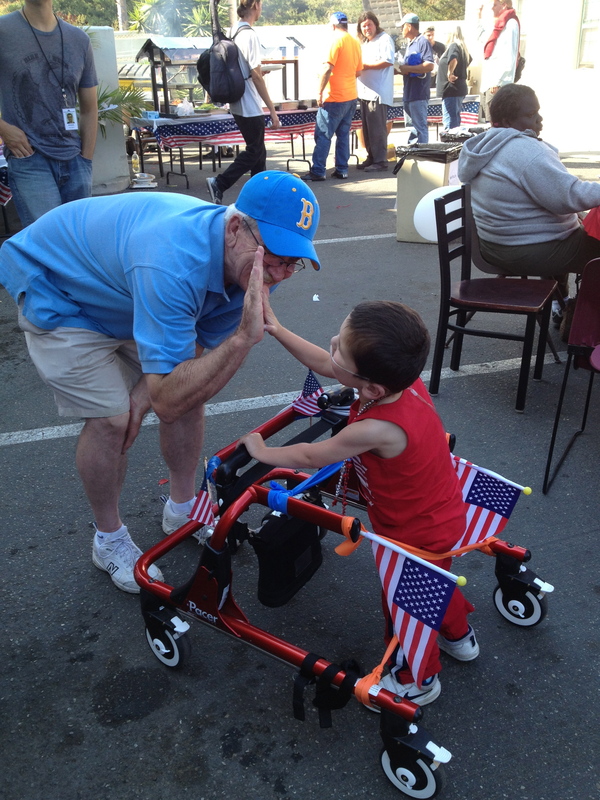 Ours was rich as we celebrated at the annual Santa Barbara Rescue Mission 4th of July BBQ with good friends and our SBRM family. It was a day filled with great conversations and lots of laughs. It was particularly good to spend the day together as a family as it feels like everyone in our household has been going in different directions since Rolf and the big kids’ return from Boston. Poor Rolfi suffered a bit of a hiccup Monday evening when he popped his knee while messing around in the pool…the ER doc thinks he tore his ACL likely requiring surgery but we’ll find out for sure tomorrow when he gets in to see the ortho. Yikes!…We’re praying that Rolf’s recovery will be a matter of weeks and not months. Rudy had an appt with his cardiologist last week and his heart function remains the same. We talked a bit about our consultation with the heart transplant team but Dr. Harake would like to follow up with them himself. 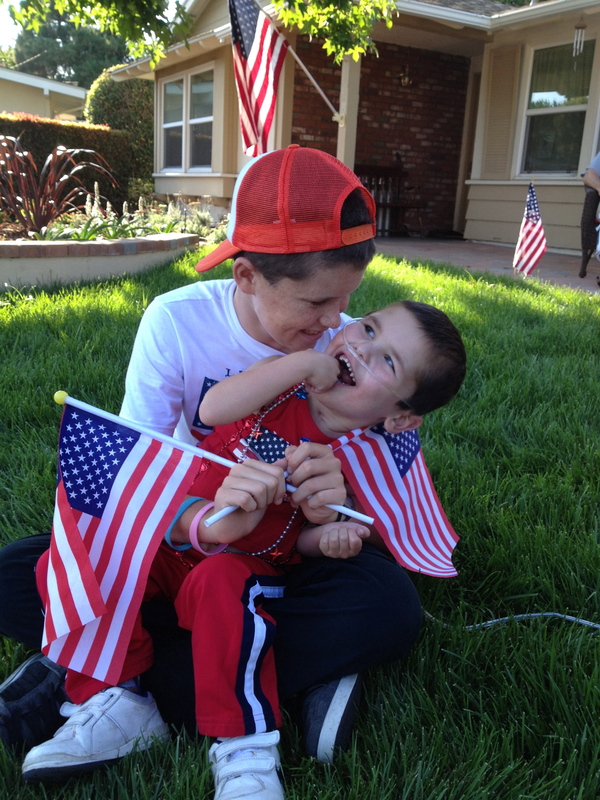 His main priority in having us start the transplant process with UCLA is for them to determine where Rudy falls in eligibility in regards to his other major organs and systems. Dr. Harake has a clear understanding of where we’re at with the heart but wants the comprehensive tests to assess the bigger bio picture. I’m assuming our next visit to the heart clinic at UCLA will be in August but we haven’t touched base with the pre-transplant coordinator since our consult in May so that’s not confirmed yet…we’ll see. I’m not feeling any major push to make it happen and, therefore, content to let the process simply unfold at this point. There was an article published in our local paper a couple of weeks ago that talked about a study they are conducting at the Mayo Clinic specifically for HLHS patients who have not had the Glenn surgery yet. It’s a treatment involving stem cells taken from the child’s umbilical cord at birth. Although Rudy is past the normal window for a pre-Glenn candidate, the article did get me thinking about the uniqueness of Rudy’s situation and whether or not donated stem cells could stimulate the same kind of growth and strength in the heart that they are seeing in some of their study participants. Dr. Harake agreed to look at the article and I’m hoping it’ll be worth it to connect with the Dr. heading up the Mayo Clinic study…it’s intriguing to me. 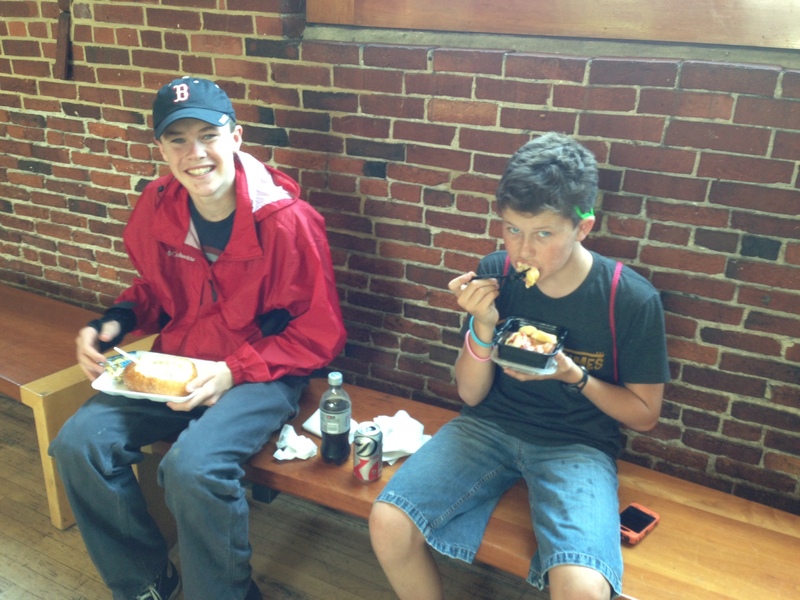 So, for now, we’ll concentrate on having some more summer fun and gear up for another round of doctor appts in August. There isn’t any plan to schedule a heart catheterization at this point and that’s fine with us. It just feels like until Rudy’s status changes, we would be wise to simply keep doing what we’ve been doing and not push too hard in any direction. We’ve been in “limbo” for so long now that it feels less like “waiting until we can DO something” and more like simply allowing Rudy the space to be who God intended him to be. 🙂 Praying for discernment and peace…always! 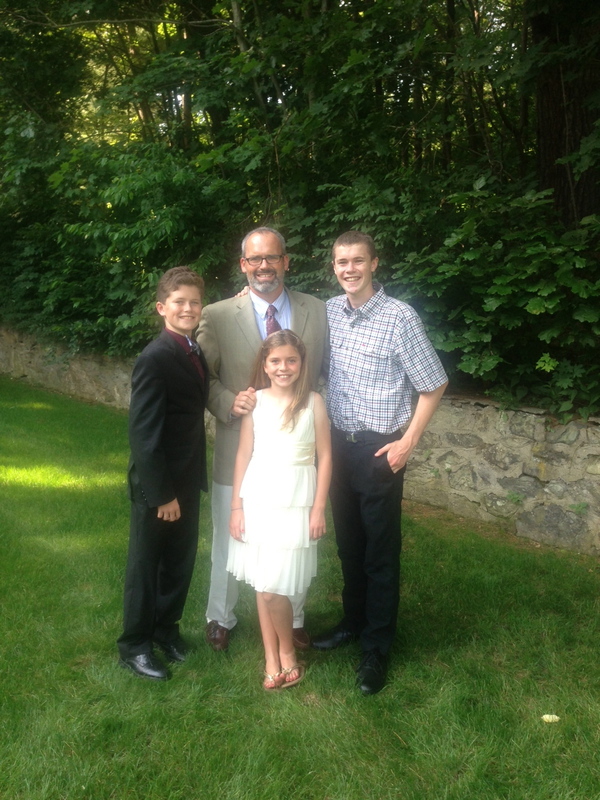 Rolf and the big sibs in Boston all cleaned up and ready to go to a wedding! Rudy’s Aunt Andi and Uncle John! 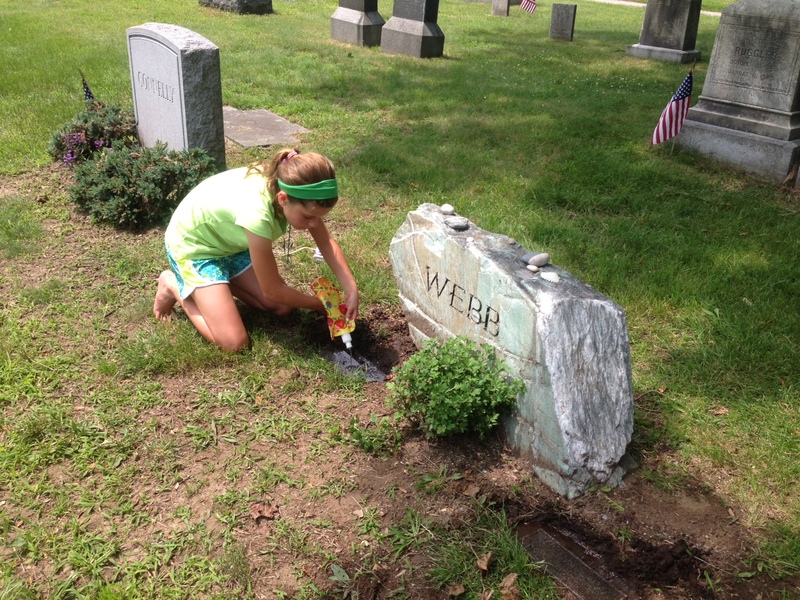 Olivia paying her respects to cousins Seamus and Faoileann laid to rest outside Boston. 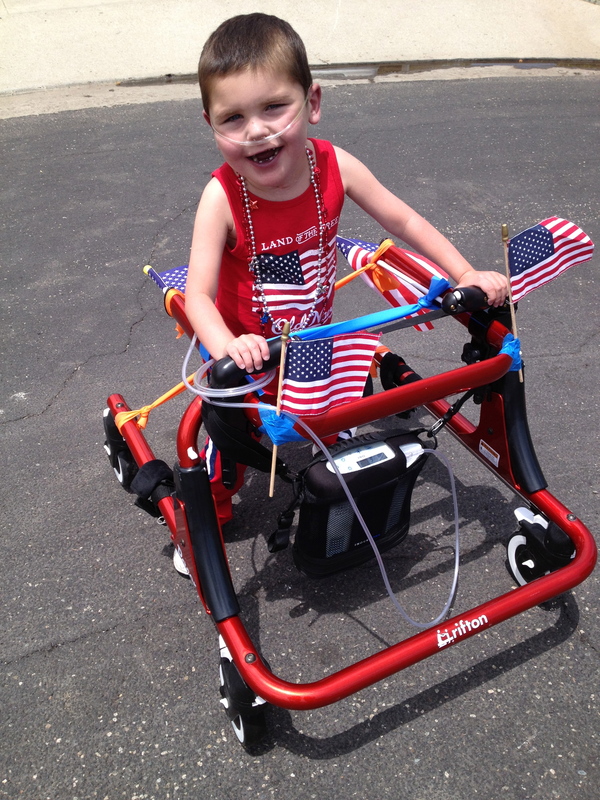 Rudy got his new, “hand-me-down” walker on Monday…his cherry red hot rod has already made a few rounds around the cul-de-sac!!! 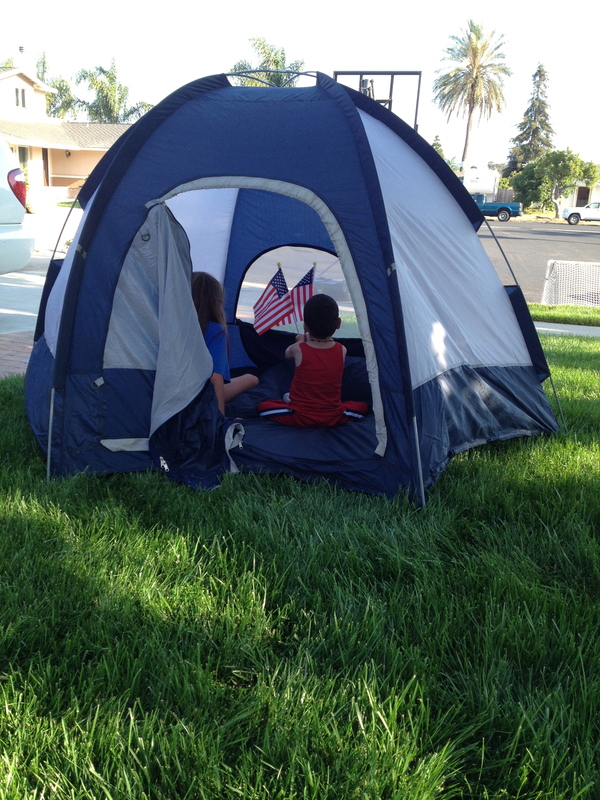 Rudy and Livy singing patriotic songs in a tent…love it! 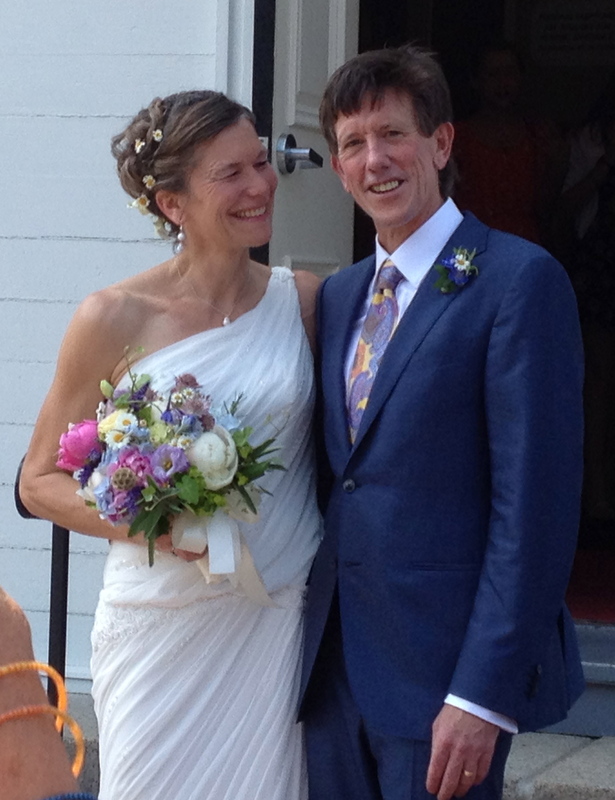 Previous Post On The Mend…and On The Road! Beautiful pictures! Many are favorites! To my special grandson, Rudy!! We are so blessed to be citizens of the USA!! I am so blessed to be a mother, grandmother and great grandmother of our entire family of believers!! We are most blessed to be children of the living God!! It is so fantastic to know we have an eternity to enjoy together!! You help us cherish each moment with your charming smile!! I love your perspective: enjoying the space Rudy has to be who He is meant to be for now. I’m sure he was a star yesterday at the SBRM BBQ!!! Hugs and loves from the Van!!! Love this entire post, Trish. I think you’re wise to just keep pluggin’ away, one step at a time, one day at a time. How else can we do life? I mean, really? LOVELY family pics – thanks so much. Wonderful post. “Priceless” is a perfect title! A BIG BIG HUG FOR EACH AND EVERYONE OF YOU. Great Pics! 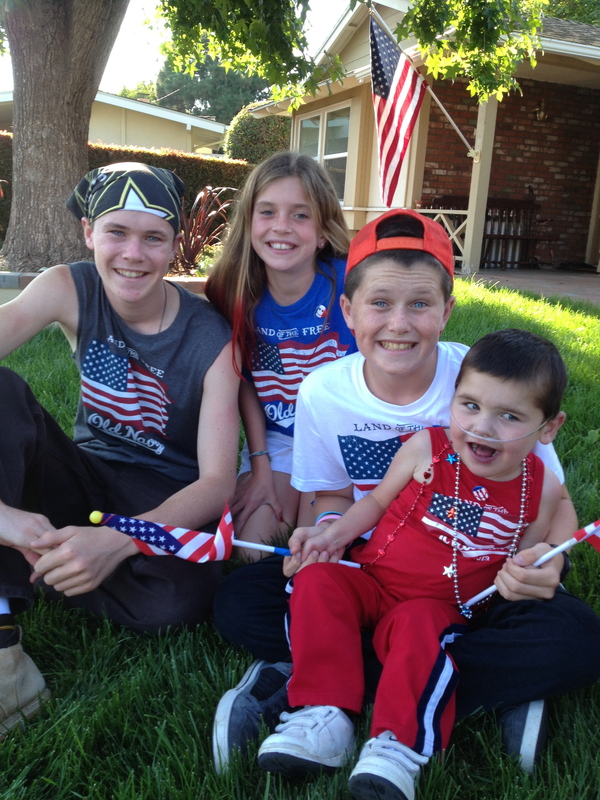 Love the one of all four kids on the 4th! They have all grown up since I first started following! 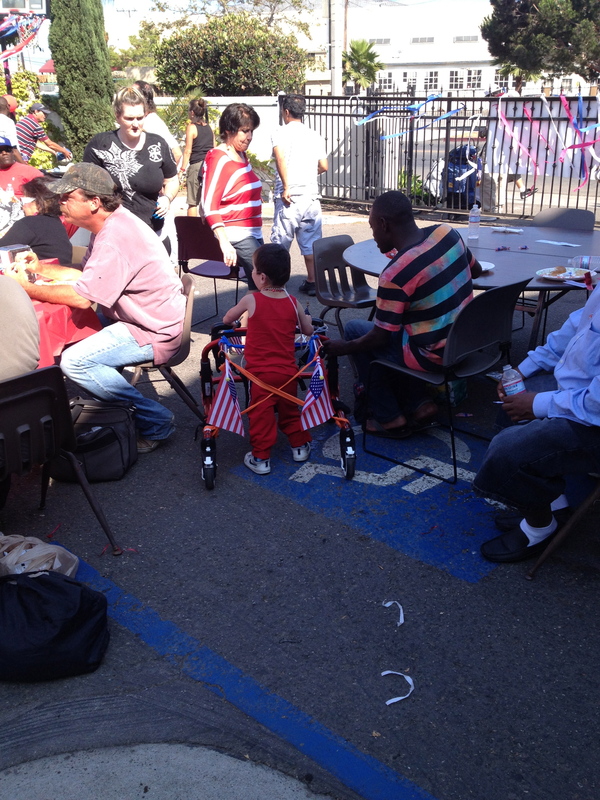 If you have access to email through this…tell me about Rudy’s bands behind him and infront of him on his walker. How is he using them? I like that idea…might need to steal it! Best wishes for R’s knee too! Happy Fourth of July to all of you, as well! Thanks for all the photos, Trish, it’s fun to see the kids growing up right before my eyes….the dress up Boston shot, for example, wow! Rolf…. God bless your body! May you heal well. You guys are so patriotic! 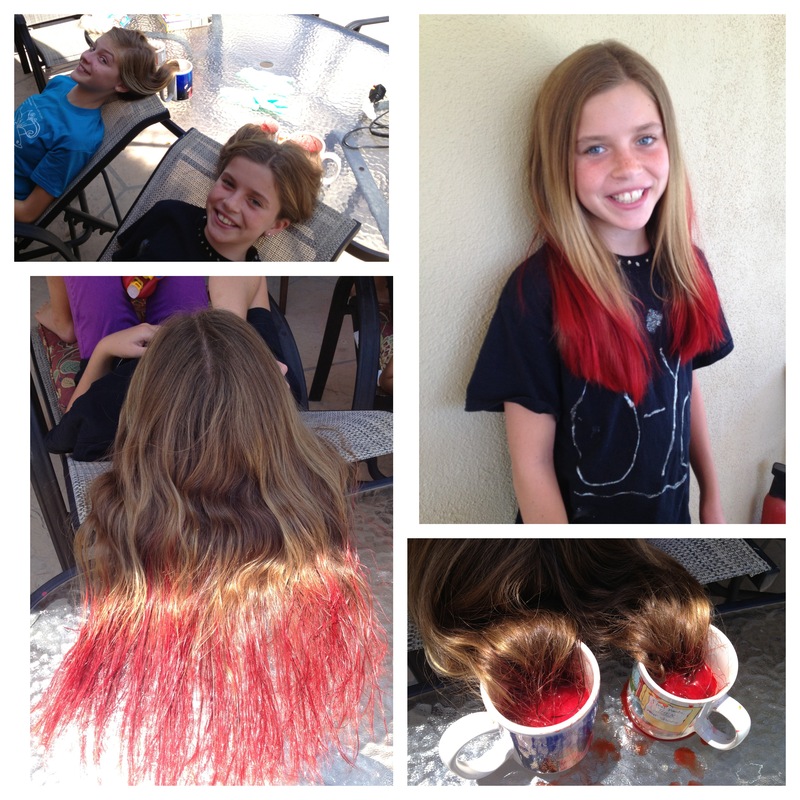 Love the red cool aid hair! How long does it last? Does it do that to our insides when we drink it? Livy is gorgeous and look at those handsome boys dressed up! Love you guys!